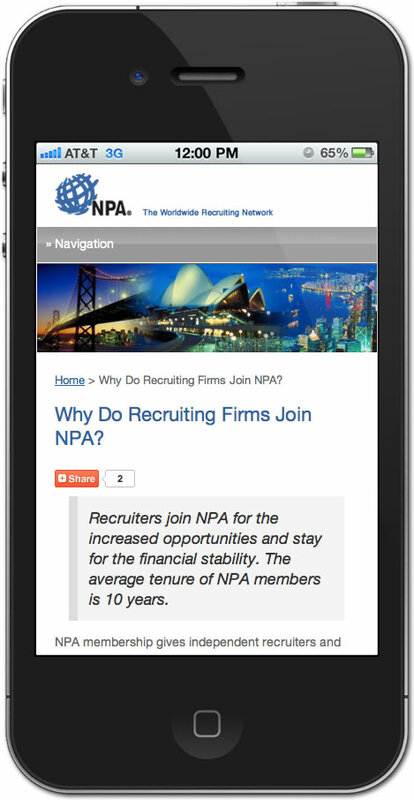 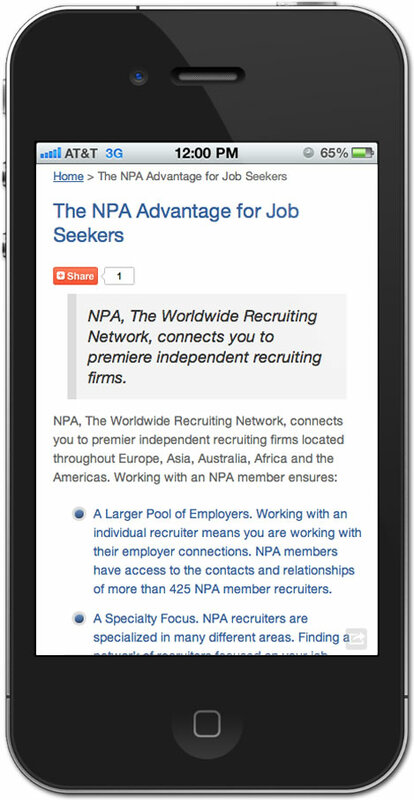 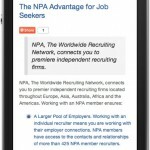 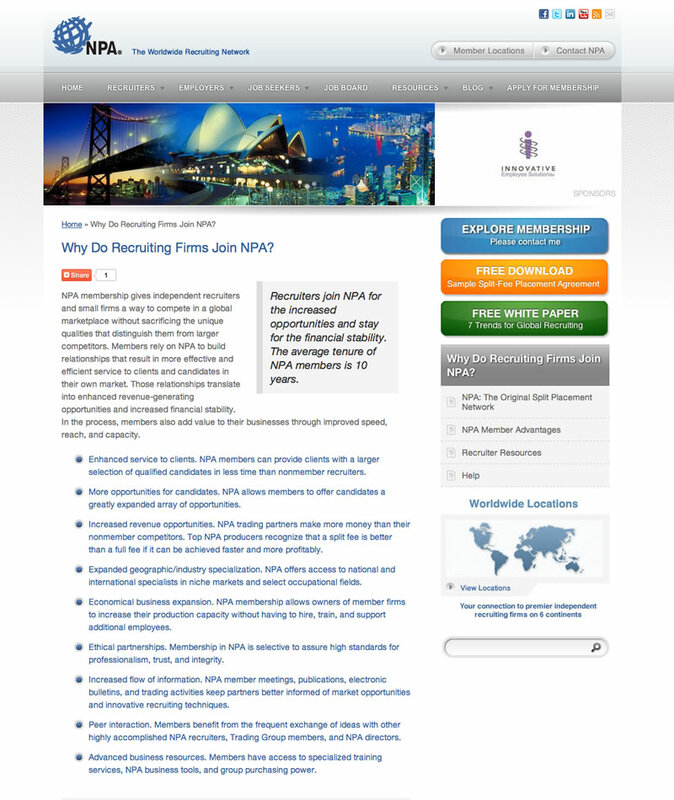 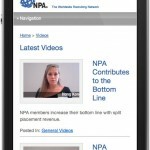 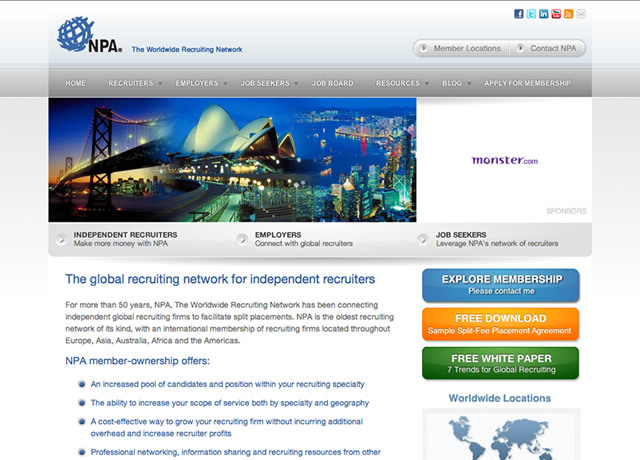 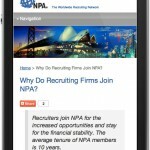 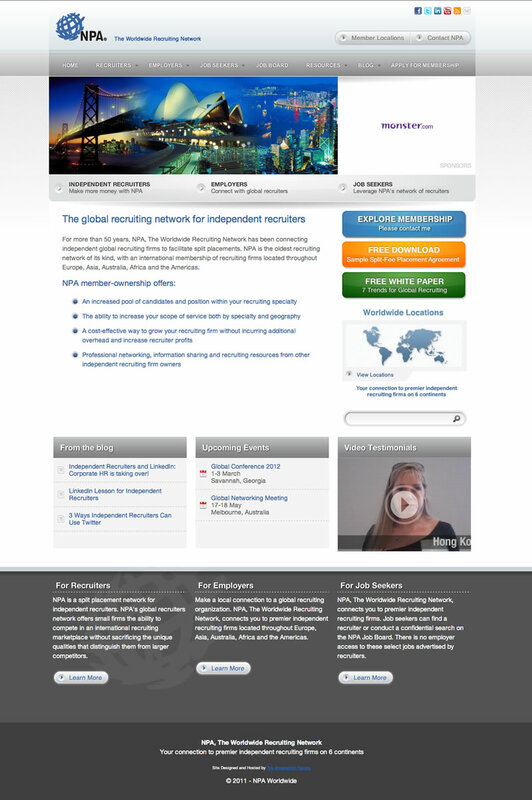 Website Design and Development for NPA Worldwide, an international split-fee recruiting organization. 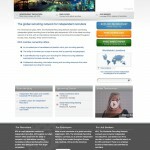 One of our larger sites, this site includes over 200 pages of content, numerous online contact forms and secure forms, a self-scoring evaluation form, a searchable members’ directory (for 1700+ members world-wide), two full e-commerce stores (one private, one public), an interactive events calendar, four separate blog areas, a branded graphic email/list manager, a flexible prospective member VPN, and an internal search engine. 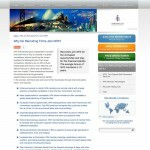 Site administrators have full access to manage and edit all aspects of the site. 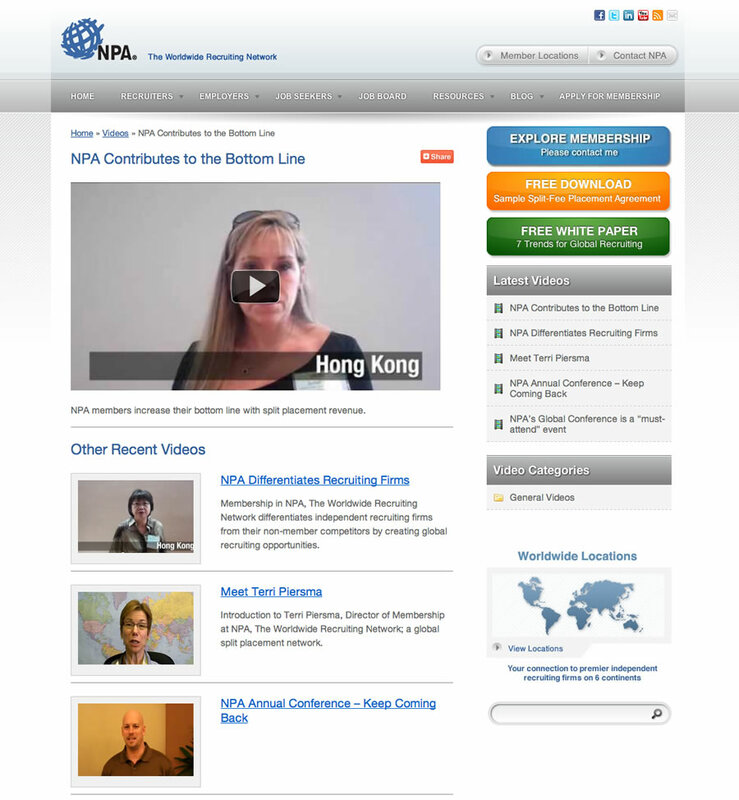 While the site began as a massive static website with a number of disparate dynamic portions, our ongoing work with NPA has involved consolidating all of the content and blog areas into a single, easy to manage cms. 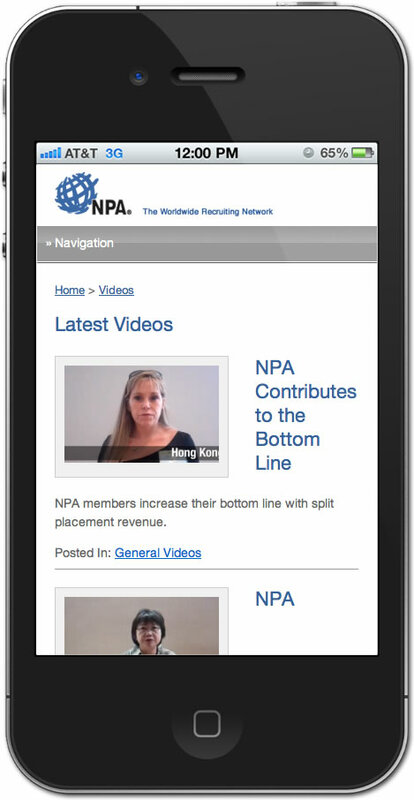 We took the opportunity to update the design and add easily configured mega menus and a video testimonial blog!